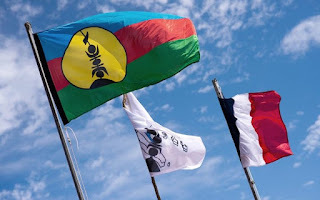 Thousands of people in New Caledonia have taken part in a march against independence from France - exactly six months before the territory's referendum on the issue. According to the police, 4000 people joined the rally in Noumea, but the organisers said more than 10,000 took part. The march was called to coincide with the visit of the French president Emmanuel Macron who arrived yesterday. At the time of the march, the president was visiting the northern province.